Cheesecake... for a limited time! Chef’s Special Cheesecake! Ermahgerd. Pretzel crust, Nutella ganache, and 100% “get in my belly.” It’ll be here for FOUR WEEKS ONLY (begin the countdown!) at both our #BishopArtsDistrict and #MockingbirdStation locations, so save room for dessert! 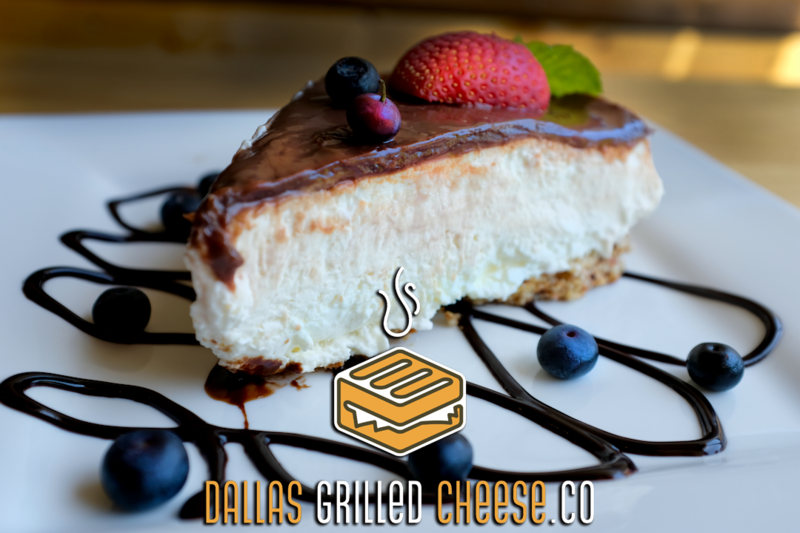 © 2015-2019 Dallas Grilled Cheese Co. All Rights Reserved.